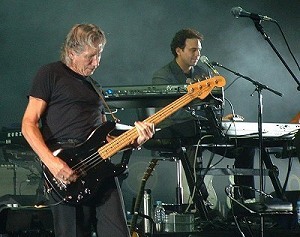 Roger's shows for 2008 have now been confirmed, and are shown below. Please don't ask if he might be playing in your home city/town/country, as these are the only known dates. Should any additional nights be announced at a later stage, we will of course let you know. Also, we get emailed a lot with requests for backstage passes. We cannot get these for you, so please don't ask! Also below are the Ca Ira performances scheduled for this year. Roger won't be participating in these stagings of his opera, but we feel they are appropriate for inclusion. This page is your ideal starting point for information, pictures, reviews and more for each of the shows Roger performs. Simply click on the show(s) that you want to know more about... as time goes on, each show page will build to hopefully provide a comprehensive resource! BRAIN DAMAGE NEEDS YOU! We want to cover the concerts the best we can, to share the experience with everyone, especially those who won't be able to attend the shows. We welcome your comments about the show(s) you have attended, ANY pictures (official, professional, newspaper and unofficial), tickets scans, reviews, newspaper reports, set lists and anything else you can help with. We look forward to hearing from you!